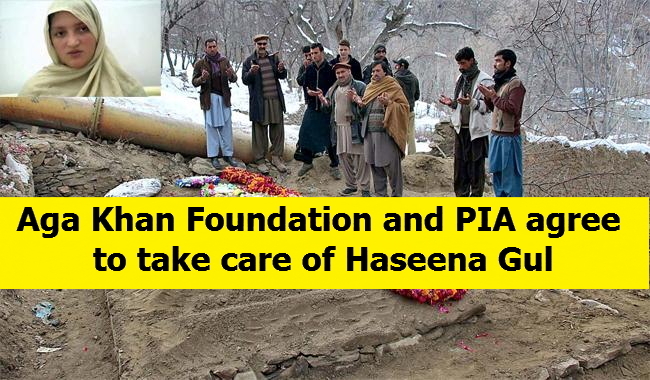 KARACHI: The Pakistan International Airlines (PIA) and Aga Khan Foundation have agreed to take care of Haseena Gul, the 14-year-old girl from Chitral, who lost all six members of her immediate family in the ATR air crash. The Board of Directors of Pakistan International Airlines Corporation Ltd (PIACL) during its meeting took keen interest in the welfare of Haseena Gul. The board said that, if needed, PIA would like to take the responsibility of her education as well as living and medical expenses. The board was given a detailed briefing on the unfortunate crash of ATR-42 and apprised of the steps taken by the airline for providing relief, support and assistance to the aggrieved members of families. While expressing their deep grief and sorrow over the tragic incident, the board members appreciated the proactive steps taken by the PIA management in this regard after the crash.The meeting was informed that the Safety Investigation Board was conducting a thorough investigation of the incident and all assistance it needs from PIA is being provided forthwith. The board was informed that an initial compensation of Rs500,000 has been disbursed among the next of kin of most of the persons who lost their lives in the December 7 crash and the process would be completed after the finalisation of legal formalities.